a premium skincare brand – the total value of the box is around £300. The box contains all you need to prep your skin for the winter. 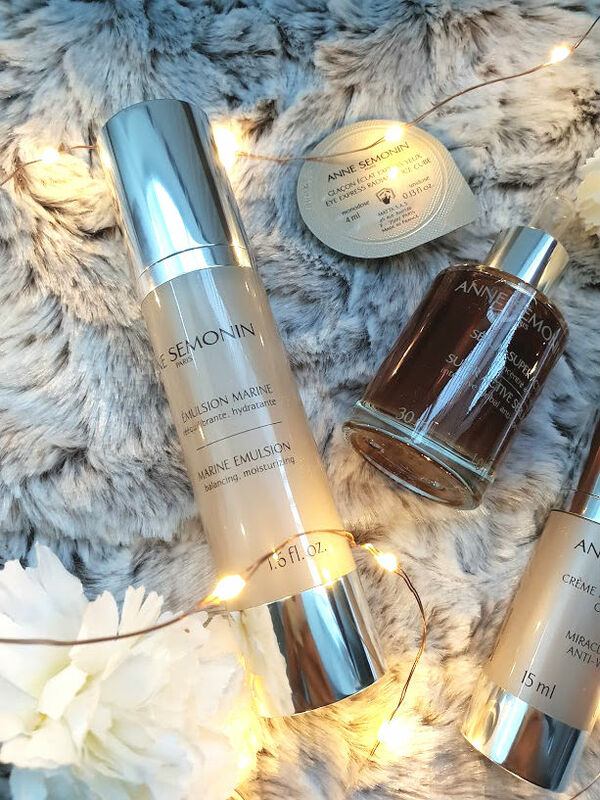 I had to do a bit of reading about Anne Semonin as I had never heard of it, but now I think I am going to be mentioning it a lot more.As a brand, they have been developing luxurious, highly effective skincare since the 1900's. 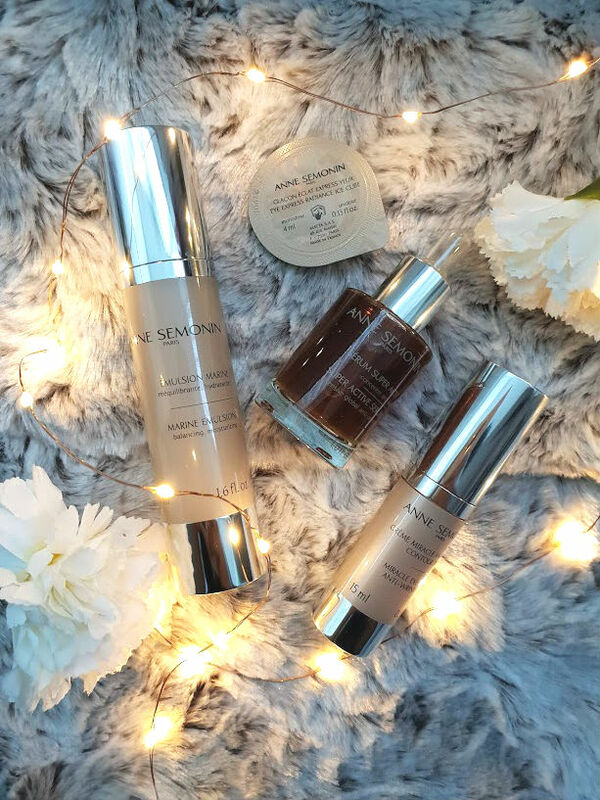 It doesn't what you age or skin type is, these power products restore that glow which we all want. 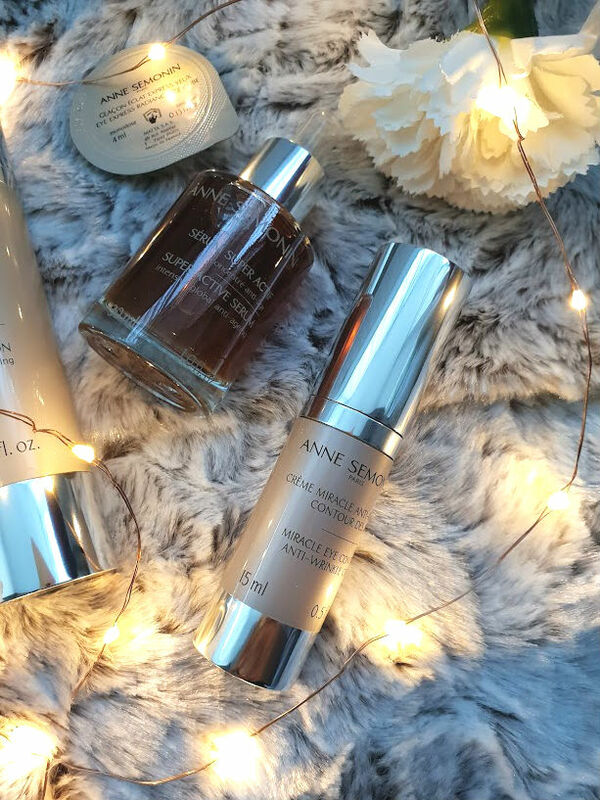 I love a good, luxurious serum, they make a world of a difference to my skin. This has a gel like consistency and is so lightweight, I end up layering it on because I love the feeling of it so much. It is aimed more at older women, as it has lots of anti-ageing benefits but for me it is just giving my skin some hydration. With the weather being so cold at the moment, I need all the hydration I can get. I have to add, it smells amazing. But the price tag - wowza's! This is ideal for moisturising if you have oily skin, it is non-greasy and so easy to wear on its own and under makeup. It doesn't slip or slide and keeps the skin hydrated to the max. I find this a little strong in smell, compared to the other products but its something that I can pass on. It has shea butter in, which nourishes and sea algae that protects the skin. A double duo that is fabulous. My skin did break out, but it wasn't because of this - it was due to the time of the month and so I have continued using it and loving it. A girl can never have too many eye creams and over the months I have learnt the importance of them and what big of a difference they make. It has marine retinol it in which helps with renewal of cells and it is very effective. I haven't seen much difference with circles or darkness, but its a lovely product to treat my eyes to in the evening and know that they're being cared for. This is the little treat in the box and one thing I really want more of - like a lot more. These are little express ice cubes for your eyes. They have been created to refresh and lift those tired eyes of ours. Without the hassle of sitting their for hours and hours. I used this one the other day after parents evening, I look tired. There was no amount of cocnealer that was going to cure me, this little cube was so cooling on the eye - made me look more awake in a flash and felt so nice to do in the morning. Another month, another amazing box from Cohorted! IN LOVE.